Strap yourself in and get ready for the ride of your life. Or death. It’s the anticipation, the fear, the excitement, the lingering question of whether you will plunge to the earth and splat on the pavement. And then—even though it only lasts a few seconds—it’s the thrill of the actual ride that can make your heart pump out of your chest and provide a rush you’ll never forget. And if your heart stays inside your body and you actually survive it...well, you usually want more! 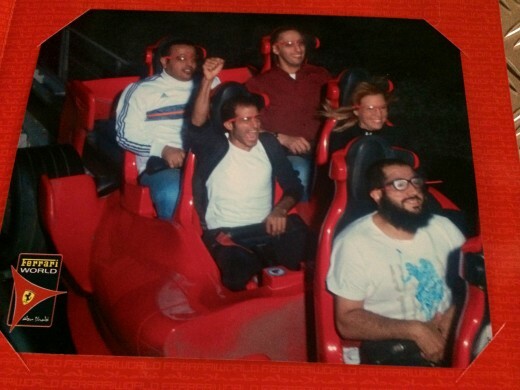 As a genuine thrill-seeking, adrenaline junkie, there is nothing more scary, exciting, exhilarating and gratifying than a ride on a great roller coaster! These are a few of my favorites from around the world. Please comment and let me know your favorite! Just standing in line and watching this one will make your stomach turn and take your breath away. In fact, watching it may be worse than riding it. There is something about the combination of the bursts of flame, jets of water, beating death-march drums, the Indiana Jones-type vibe, the blood-curdling screams and an extreme whipping and twirling action that would make a Navy Seal cry for his momma! I love the Talocan because it’s not a traditional roller coaster in any sense. Truly unique, you experience a feeling of airlessness and suspense that will leave you breathless. It takes you dangerously close to the flames and then sprays your face with water…all the while the drum beats to add intense drama. This is Europe’s only top spin ride. It leaves riders dangling upside down. All the blood rushes to your head, then it whips you around—maybe forward, maybe backward—with extreme force and intense disorientation. The only ride in Germany that might compare is a drive on the famous Autobahn, where speed limits are non-existent. When the fastest roller coaster on the planet takes off, you feel like you’ve been shot from a cannon. No kidding. The acceleration is 240 kilometers per hour in less than five seconds. It launches you 52 meters into the sky at 4.8 Gs. Goggles are a requirement, but even with protective eyewear, I felt like my eyeballs were being ripped from the sockets. When I got off the ride, my hair was in such a tangled mess it took about an hour to get a comb through it. The park was built in 2010 around the legendary Ferrari story. The island also holds the Yas Marina Circuit, host of the Formula One Grand Prix. This one was all about the music. I’ll never forget it… Aerosmith’s classic tune “Dude Looks Like a Lady” was playing when I rode it. I will always remember this one—not so much for the fun ride—but because it marked a monumental moment in my daughter, Shelby’s, life. She was 9. We stood in line for about an hour and at the last minute the fear got to her and she opted out. So I rode solo with strangers. She immediately regretted this decision and vowed never to feel that way again. 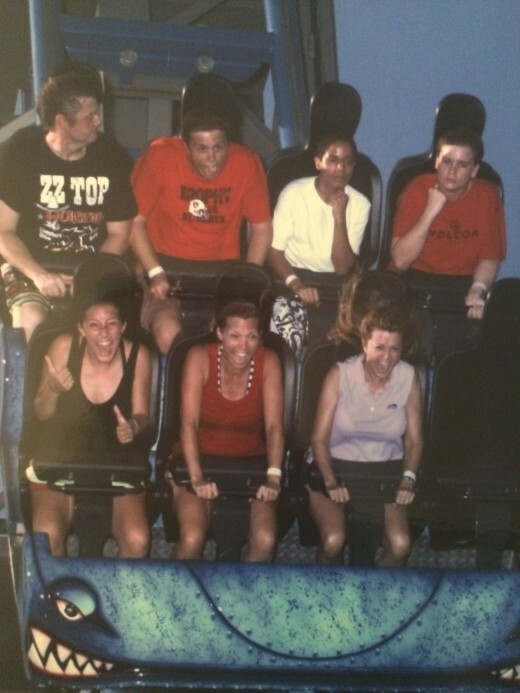 Ever since, she has never passed up an opportunity to ride any roller coaster, anywhere, any time. Now, she’s my thrill partner! Staged as a backstage pass to an Aerosmith concert, this ride takes off in a flash at 60 miles per hour in a stretch limo, passing legendary Los Angeles landmarks along the way. With two rollover loops and one corkscrew, this ride is even more exciting because it happens in the dark with only some strobe flashes of black-lit scenery along the way. You never quite know what is next and you can’t see it coming! This is perhaps the most perfect name for a roller coaster ever—it’s insane! This one is not for anyone with even a slight fear of heights. With 3G force at 40 miles per hour, this ride angles you at a 70-degree tilt and happens 40 feet from the Stratosphere Tower observation deck—a whopping 906 feet above the Las Vegas Strip. It extends 68 feet over the edge of the 1,149-foot tower. There are more than 100 different variations of the ride, ranging from a simple family ride to an extreme experience. You can decide whether it’s a good or a bad idea to first down one of the signature Stratosphere cocktails before strapping in. It will give you a shot of courage beforehand, but perhaps a severe tummy ache afterward. While there, also check out X-Scream and Big Shot! Accelerate from zero to 40 mph in two seconds flat, with the force equal to that of a jet taking off an aircraft carrier. The weightless "Zero G" roll turns your world upside down and then a power surge provides a burst of speed. The Hulk launches you 150 feet in the air and reaches top speeds of 67 mph. There are seven inversions and two subterranean trenches during the 2-minute, 15-second ride. The first time I experienced this ride was with my daughter, Shelby. We had a fast pass and rode it over and over and over again. We couldn’t get enough. I returned several years later and again, enjoyed this one multiple times! It’s not the scariest, but it’s perhaps the most addictive! I could hear the screams from the other side of the park. Adrenaline pumping and music thumping, you start climbing straight up, lying flat on your back at a 90-degree angle. 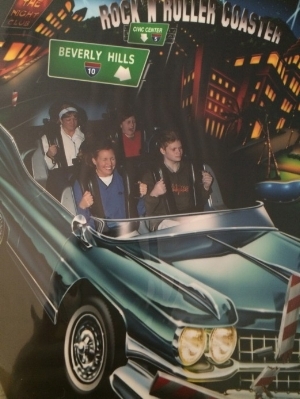 When you hit the summit 17 stories above Universal Studios, a moment later you plunge face first at 65 miles per hour. Orlando's tallest roller coaster also features several exciting, "never been done" elements, including the world's first non-inverting loop. After riding the Hulk several times, we studied this one while trying to build the courage. It would be pretty easy to talk yourself out of it. Climbing the first tower at a 90-degree angle is the scariest part. The ride features a great soundtrack and you can choose your music, which then accompanies the video you can purchase. Super cool and totally worth it! 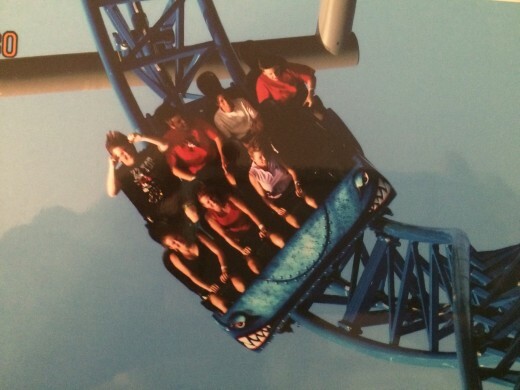 The Iron Shark features a 100-foot vertical lift with an equally vertical drop. Tracking at 52 miles per hour, this 1,246-foot coaster track includes a diving loop, greater-than-vertical drop and four full inversions. Similar to Universal’s Rockit with the 90-degree climb, the Iron Shark is unique because it sits on the pier directly on the water and takes you soaring over the Gulf of Mexico. After a fun day of segueing through the streets and beaches of Galveston, Shelby and I joined dear friends, Joe and Teresa, for several hours on Pleasure Pier where we rode this ride at least 20 times. I’m ready for the next exciting adventure. Tell me about your favorite thrill ride!